After a drinks-only Happy Hour with ABF (at a nice, cheap, cozy little dive bar), we were in dire need of some actual FOOD. Thank goodness Scotty's diner was a) right around the corner and b) open 24 hours! 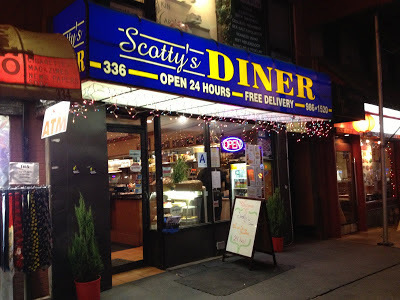 Considering it was after 10pm at the moment, Scotty's was pretty busy! We sat immediately in one of the time-worn but clean booths. 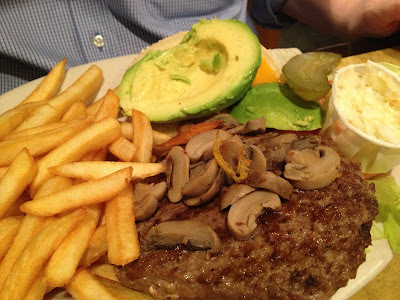 We each ordered a burger-- "Texas" style for me (jalapenos and Monterey Jack cheese)with sweet potato fries and "California" style for ABF, with mushrooms and avocado--LOTS of avocado. These came out so fast I could hardly believe it--but wasted no time in diving in for a delicious bite! They do NOT skimp on an avocado. 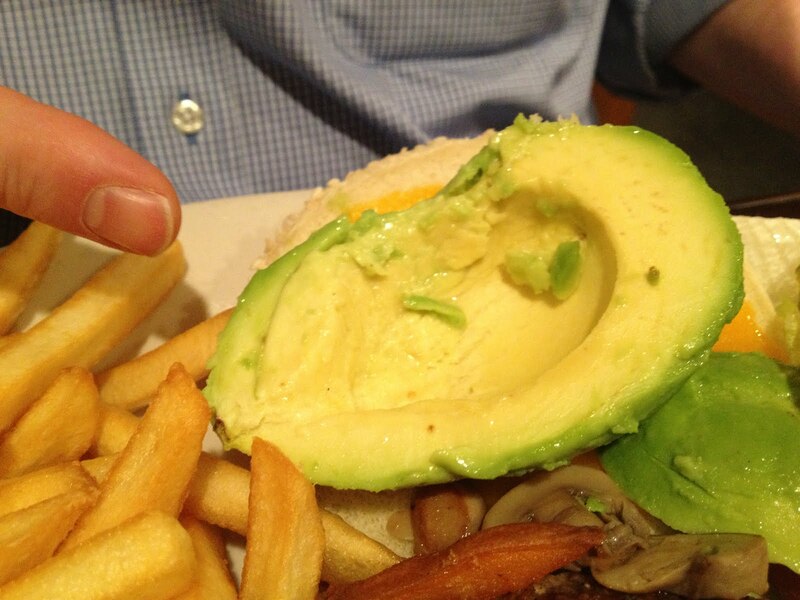 He had more than half of an entire avocado on that burger--and it was perfectly ripe. 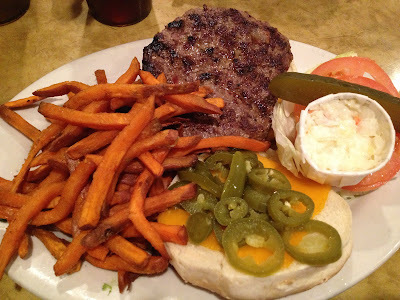 I liked my fries a lot-- even though ABF called them "soggy." That's exactly how I like mine! His fries were crispier, much more to his liking than mine. 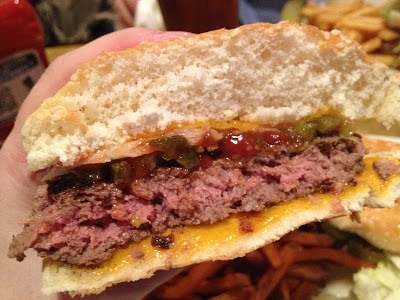 My burger was perfectly medium, juicy, delicious, I ate every bite and every single tangy, pickled jalapeno! We shared a piece of their carrot cake, which was incredibly tasty! It had this awesome layer of what I'd call a cheesecake mousse in the middle. 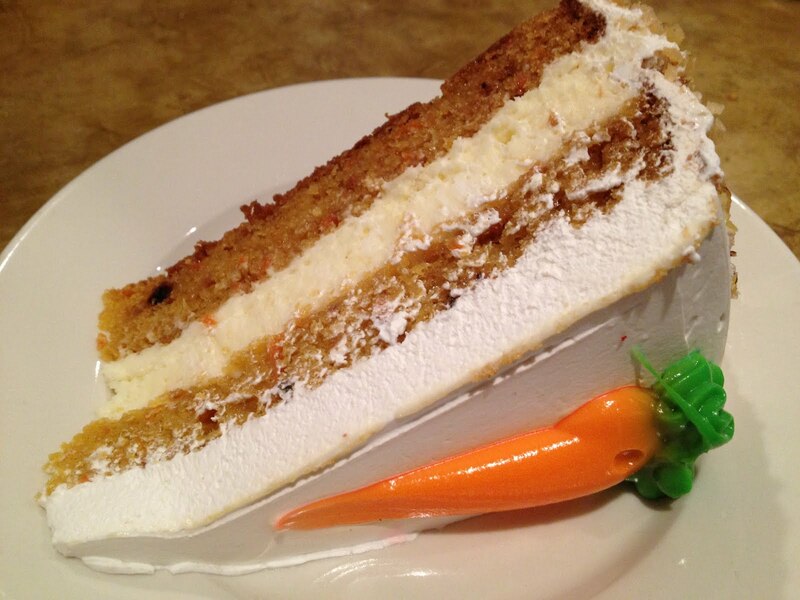 Our server said that's the REAL New York carrot cake. I cannot confirm that, but I can confirm that it was pretty freaking delicious. 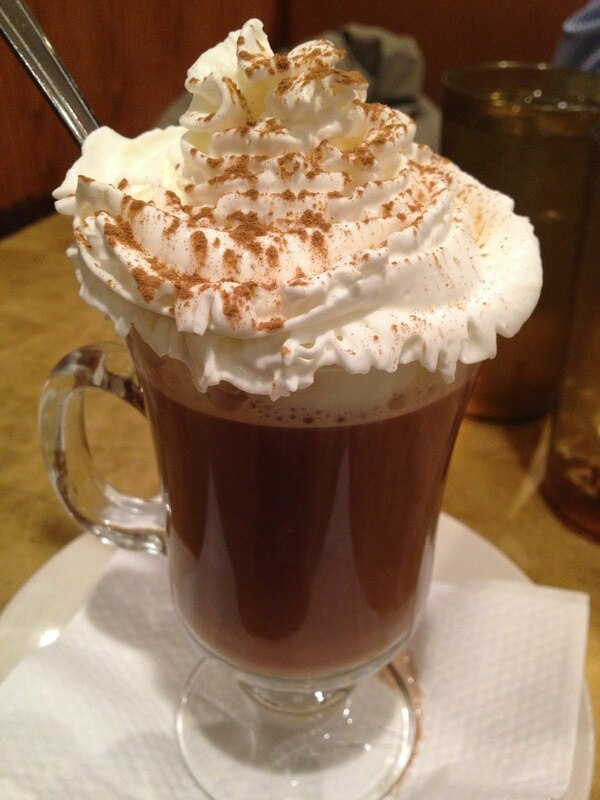 While ABF ordered a coffee, I ordered a hot chocolate, imagining it to be some standard, boring affair. Not so! It came in a fancy cappuccino glass with whipped cream and a dusting of cinnamon-- delectable!! Scotty's was a win for us. It's your basic diner that is the life's blood of many a city-- nothing fancy, but man, it was good! We also noticed local after local coming in for takeout (a few of them actually wearing PJs), so that gave me another vote of confidence. 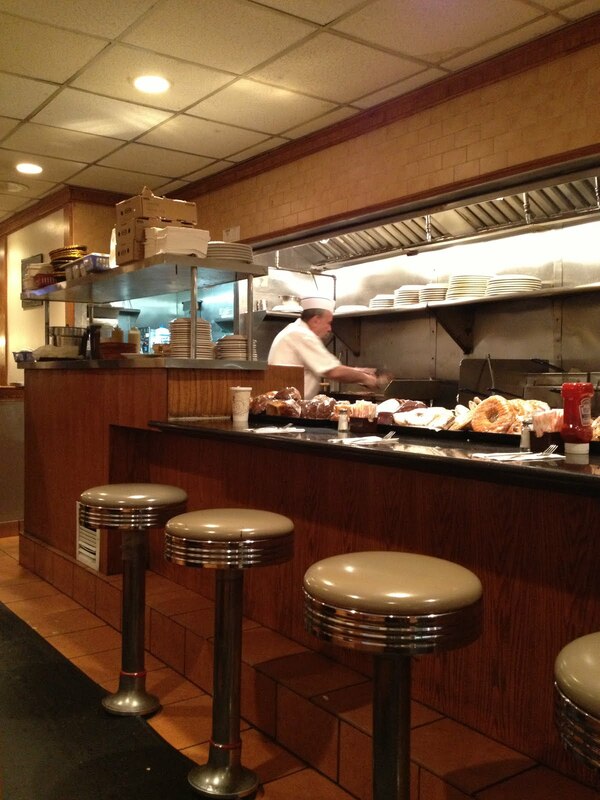 It's walking distance from Grand Central Station and the subways, so it's cheap, convenient, and came to our late-night rescue. Grab a pint nearby, then fill your belly here! Shake Shack-- on Long Island! !